As you can see I cross off quite a few hikes. To get the year off on the right foot, I went up to Great Falls Park in Maryland and did the Billy Goat B and C trails. I had done this last summer and enjoyed the route but not the heat. This is about a six mile hike, mostly flat. It was a good way to start the year. For the next several months I forgot about hiking. I don’t honestly know why. When I realized that I had missed some of the year’s best hiking weather I kicked it into gear on the first weekend in June and re-visited Rock Creek Park. This time I did the Valley and West Ridge trails in a counter clockwise direction. It’s a good hike, about 10 miles or so. It was time to get away from the city. The next weekend I found a hike online that seemed to offer some solitude. It was an out and back hike on the section of the Appalachian Trail in Virginia known as Ashby Hollow. The trail was rocky and the the ups and downs lived up to the nickname Roller Coaster. I was amazed that through hikers did this section of the trail carrying big backpacks. I saw a couple too. More power to you folks. I was on a roll. A luck would have it Ultrarunnergirl was looking to go for a hike in the Shenandoah National Park. We headed out to White Oak Cannon. Here, she advised me to buy a year pass to the National Park system. Great idea. We hiked up the canyon, enjoying waterfalls all the way up. At the top of the trail we took a fire road up to Skyline Drive. At her suggestion, we hiked up the steep trail to Little Hawksbill, the highest point in the park. Hiking down beat the crap out of my legs. To get back to the start we took the Cedar Run Trail. This was a pretty trail but it was also rocky and the rocks were slippery. Ultrunnergirl’s iPhone went for a swim. She went for a rock slide near the end of the hike. This was my first non-solo hike since college. It was also my first hike in Shenandoah National Park. If you live in the mid-Atlantic and do not take advantage of this park you are really missing out. A couple of weeks later, I headed back to the park for a hike up Little Devil Stairs. This was pretty challenging and involved crossing and re-crossing a stream. Well worth the early wake up on a day off from work. I took the rest of July off. I started August with a hike on the exotically names Potomac Heritage Trail. It was not the best hike but it was close to home. Then, in mid-August, on my 60th birthday, I did the most popular hike in these parts, Old Rag. It was quite challenging. I was a bit annoyed by the rock scramble. At one point I had to wedge myself into a gap between two boulders and hike vertically, with my back against one boulder and my feet on the other. Not my style at all. The view from the summit was pretty darn nice. If you want solitude, find another hike. In September we took a long vacation in Australia, New Zealand and Thailand. 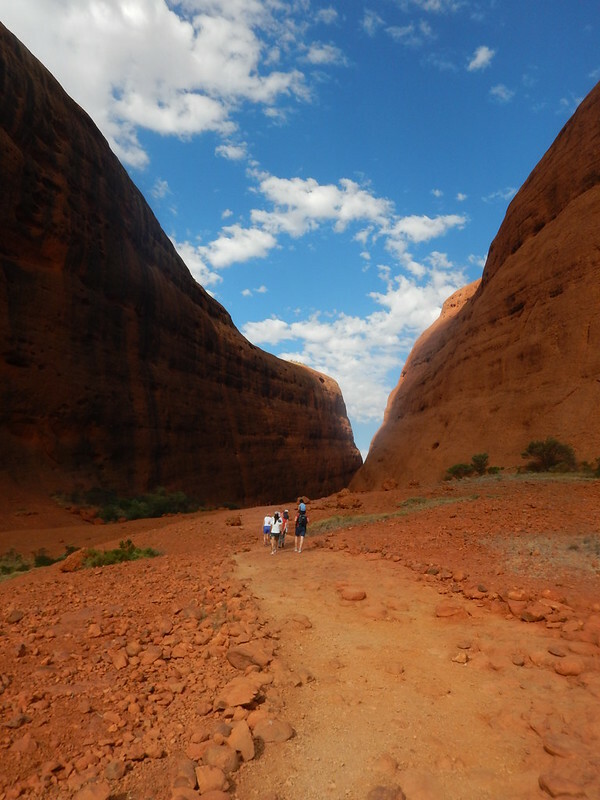 We did a whole mess of walking including an easy short hike at Kata Tjuta in the outback. After returning home, I made my way back to Great Falls Park in Maryland for an easy hike along the River and Gold Mine Loop trails. I’d done each of these before but separately. The next week, I drove to Prince William Forest Park down near Quantico. The trails here are not very well marked so I was a bit confused as to where I was or where I was going. Nevertheless, I cobbled together a pretty successful loop hike. My last hike (unless I get really motivated in December) combined two hikes near Harper’s Ferry. Maryland Heights and Weverton Cliff offer fantastic overlooks of the Potomac River, Harper’s Ferry and the Shenandoah River. This was my longest hike by far. Probably about 3 miles longer than I was comfortable doing. I am learning what I like and don’t like about hiking. I am not a big fan of rocks. I don’t like rock scrambles. Nor do I like rocky trails. I am not a big fan of fording streams either. I am afraid that I am going to turn an ankle, fall, or get soaked. Since most of my hikes are solo, any one of these would be bad news. So that’s how I put my best foot forward this year. I hope next year that I do more hiking with friends. So if you live in DC and wanna go for a trek in the woods, I’m all ears. 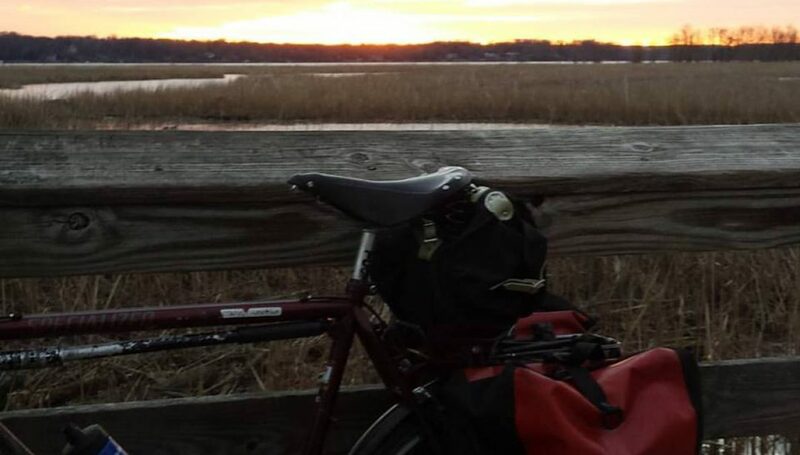 Posted on November 29, 2015 December 1, 2015 by rootchopperPosted in #bikedc, hikingTagged Appalachian Trail, Great Falls Park, Harpers Ferry, hiking, Prince William Forest Park, Rock Creek Park, Shenandoah National Park.